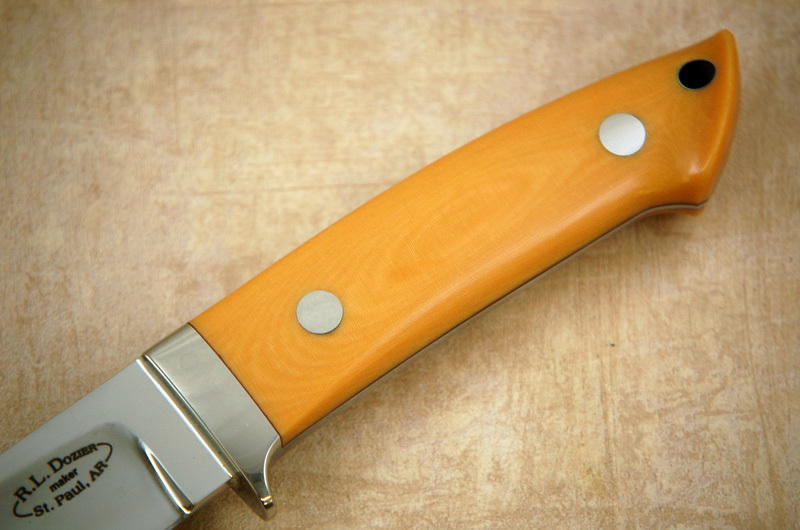 Several months ago we began looking for a synthetic handle material to use in place of Ivory without any luck; so we decided to have out own micarta made. The process to make this light colored micarta is extensive. Our micarta came out a rich cream color. It is made 1 1/2" thick so that it can be put on any knife model we make.